When dining out, it can be difficult for parents to find children’s menus with food that their kids actually want to eat. It’s even harder to find healthy selections! 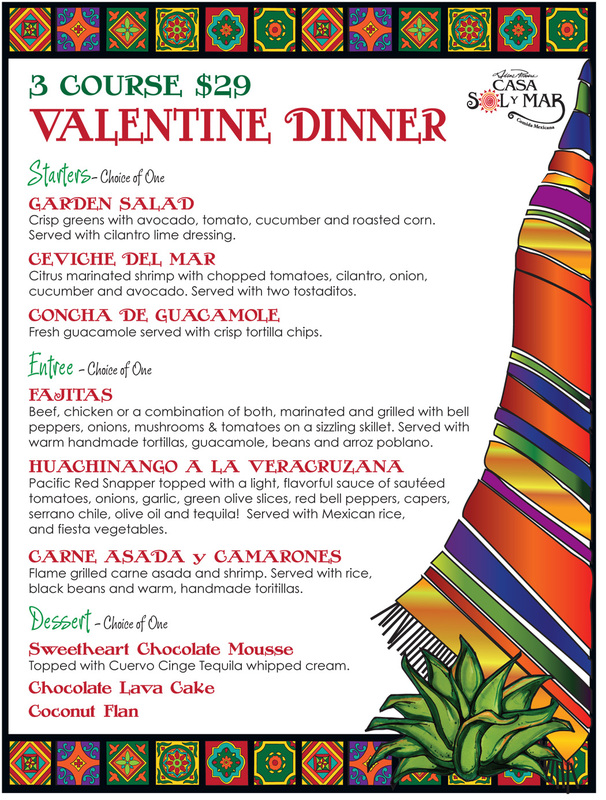 At Casa Sol y Mar, we have a great Kid’s Menu with tasty meals that boys and girls will love, served with nutritious sides like carrots and celery sticks. 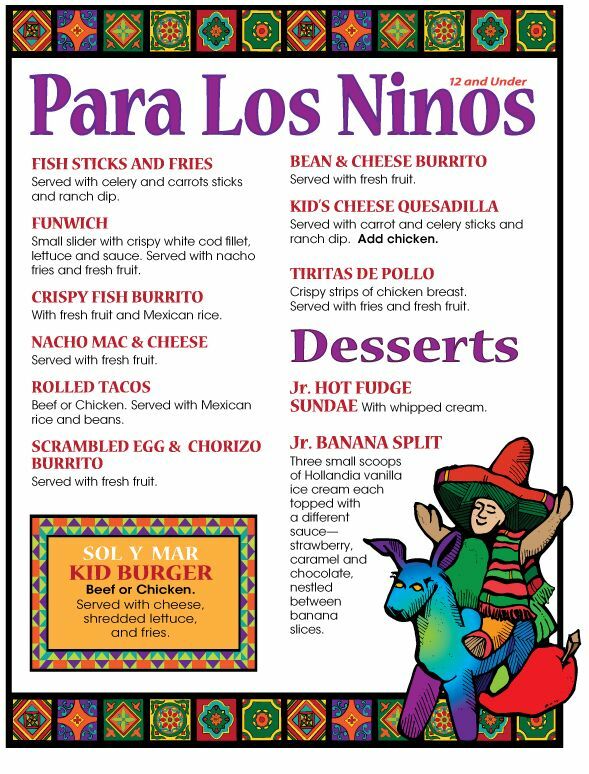 Kids can choose from classics, including a Cheese Quesadilla or Rolled Tacos with beef or chicken. Other options are Fish Sticks and Fries, Funwich, Crispy Fish Burrito, Nacho Mac & Cheese, Scrambled Egg & Chorizo Burrito, Tiritas de Pollo, Bean & Cheese Burrito and Sol y Mar Kid Burger. In addition to the food, your little ones will enjoy our colorful and inviting atmosphere – especially the strolling mariachis! We often see excited children staring in amazement as señoritas create handmade, fresh flour and corn tortillas in our Tortilla Kitchen. Every visit is a fiesta at Casa Sol y Mar! We hope to see you soon with the whole family! 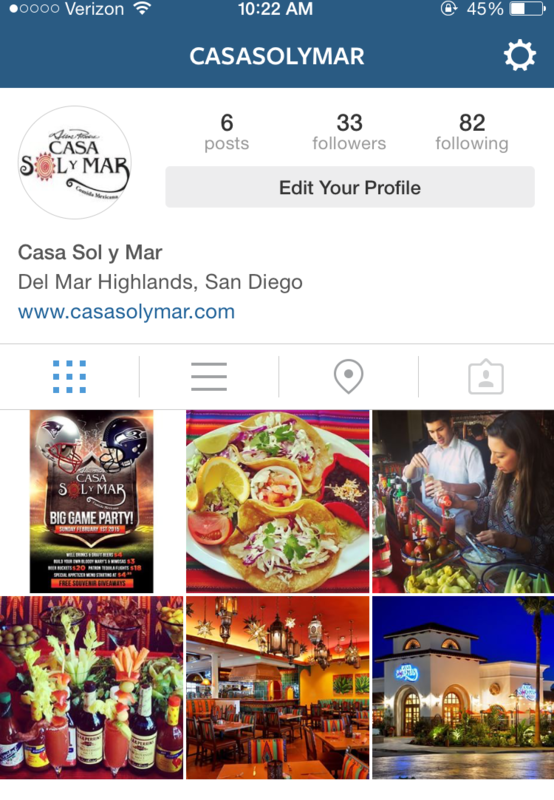 Casa Sol y Mar is Now on Instagram! Casa Sol y Mar is on Instagram! Follow us to get the latest on specials, events and ever-so-savory food photos. Make sure to tag #CasaSolyMar on your pictures so we can like and share our favorites.